Who said, that is impossible in winter remain feminine? 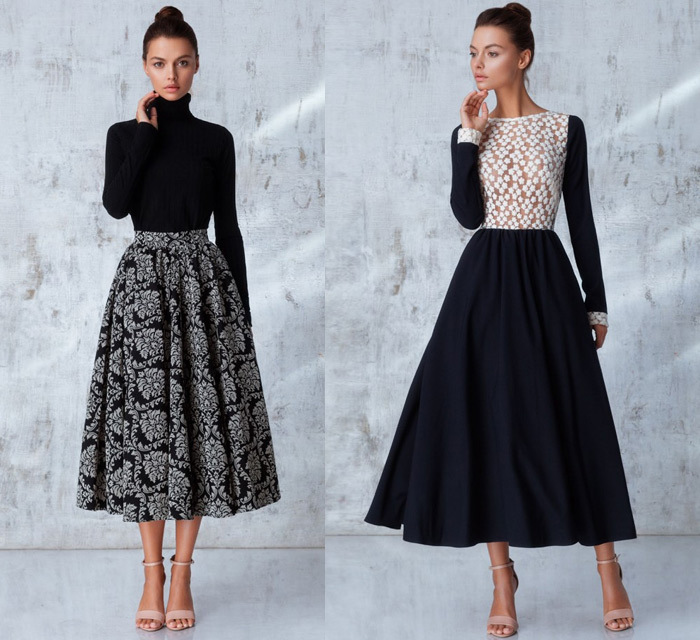 Skirts and dresses all winter are also relevant, – femininity never goes out of fashion! here is 6 options for every day and “on the way out”. 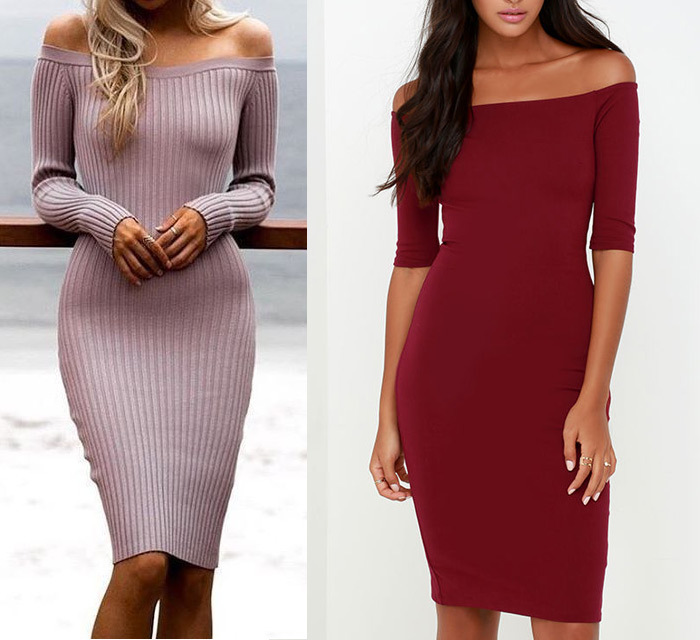 Knitted dress strict cut suitable for all cases. Looks spectacular with the belt and lightly waistline – so the legs look slimmer. 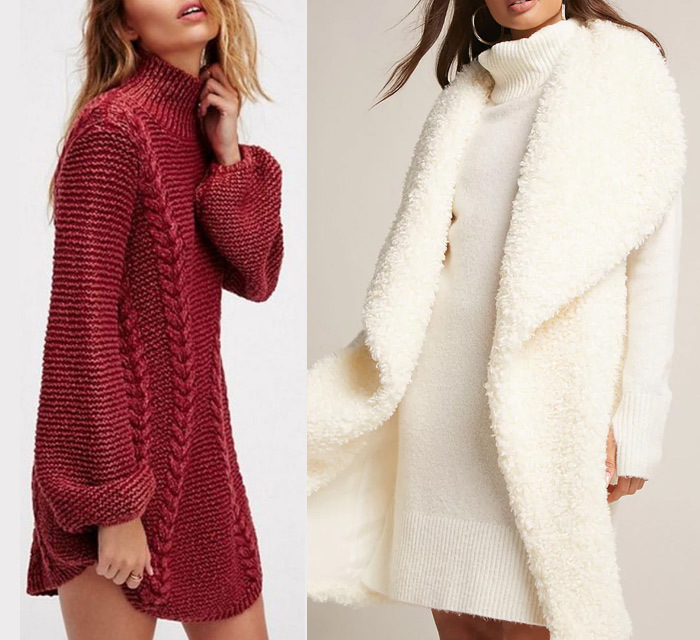 Warm dress for the holidays, meeting with friends in a cozy café with a cup of cappuccino. And be sure to white – It's such a winter color! Silhouette is not important, main, that dress was knit and white. In winter it's nice to have in the locker room seductive dress with open shoulders. From the top you can throw a coat or warm fur scarf. In this winter dress nice to walk on snow-covered streets. 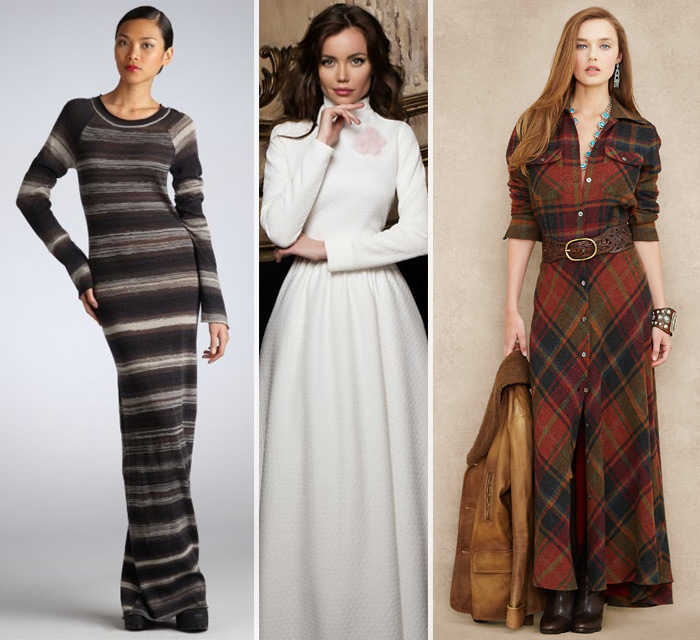 Perhaps, long dress not the most convenient for winter, but as it looks! 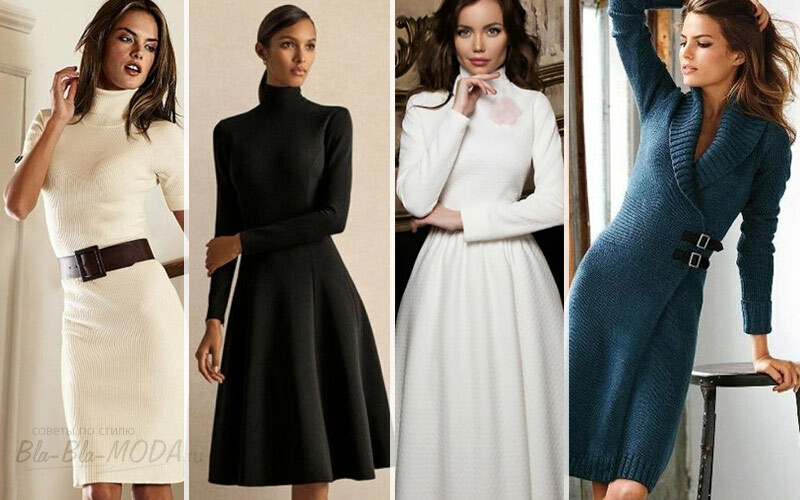 In addition, the first winter no longer relevant wear light dresses of silk or lace, and above wear a thick sweater – It looks like, This trend also becomes a Winter Classic. All dresses are good! Dream of a, as 3.